Remember the sneak peek of an arrow I gave you a couple of weeks ago? 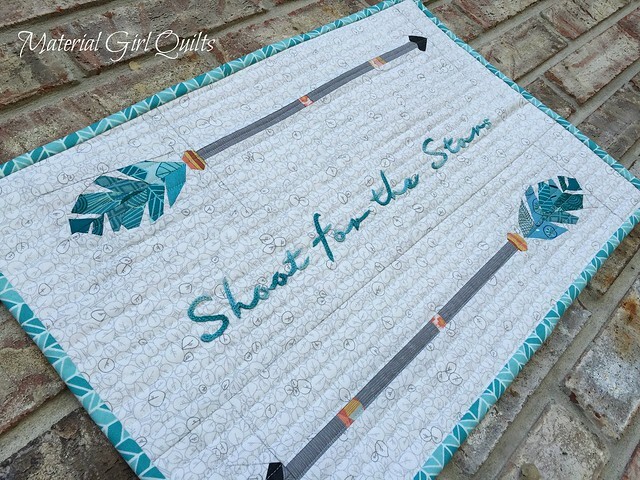 Well, here is my finished mini quilt, Shoot for the Stars. 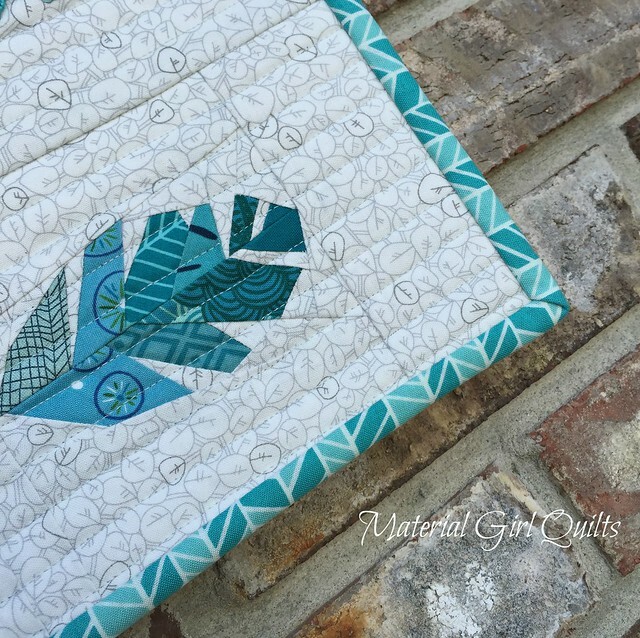 I used my friend, Sarah‘s Love Struck Arrow pattern and pieced them together with a "sashing" in between. 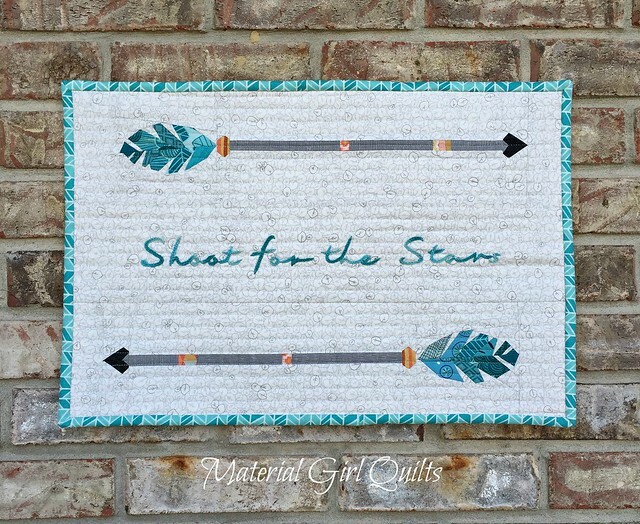 Then I embroidered Shoot for the Stars in a stitch I found here called the Hungarian Braided Chain Stitch. My stitches aren't nearly as awesome as hers, but they'll do. I also love the variegated embroidery floss. It was a perfect match for the fletchers on the arrows. Here's a little closer look at the embroidery. And here is the quilt hanging in my son's newly re-decorated room. 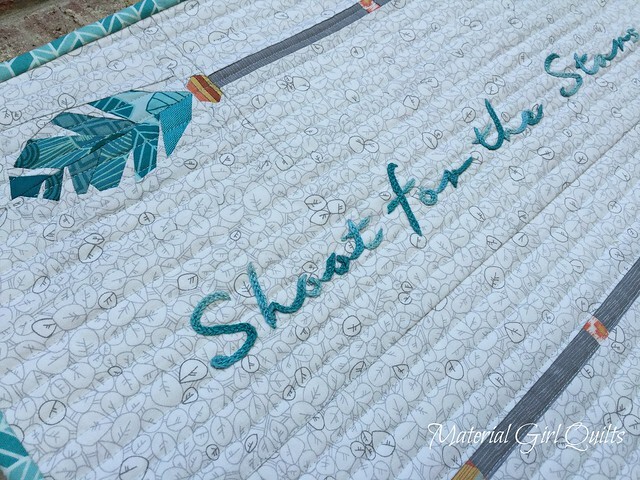 I can't wait to show you his new bed quilt, but that will have to wait a little bit longer.